Polly Ngale was born 1925 and was part of the original group of women who taught batik at Utopia in the 1970s before painting with acrylic paints on canvas. 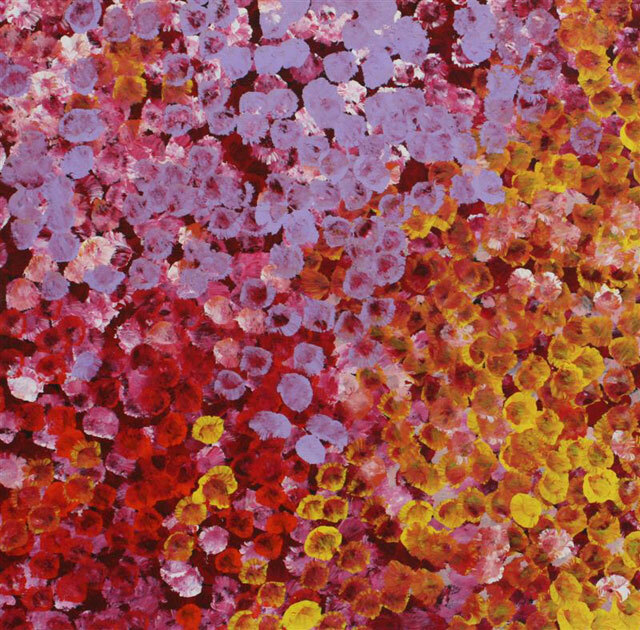 She often worked with the late Emily Kame Kngwarreye, having shared the same country. Polly is a senior custodian of the Bush Plum Dreaming along with her sisters, well-known artists Kathleen Ngale and Angeline Pwerle Ngale. Her artwork is built up in layers, mostly from reds, oranges and yellows, reflecting the beauty of the season.